Former Vodafone Fiji U20 reps Bruce Hughes and France Catarogo are eager to wear the white jumper during the 2017 Courts Inter District Championship in Lautoka. Speaking to Fiji FA Media, Bruce said the wait was now over and would love to take field again. “I have waited for more than seven months after I was not cleared by my former district but now the wait is over and will play for Suva, “Hughes said. Hughe said switched to Suva because he wanted to play alongside his brother Setareki Huges. The former Rewa defender said he would do his best for the Capital City side. “I am training hard to get my fitness because I have been away from football for few months now but I am sure I will get there and will do my best for the team in Courts IDC if given chance, “Hughes said. Hughes thanked Rewa Football Association for giving him chance to be player today. “It’s because of them I have learnt a lot but we have to move on for better opportunities, “Hughes said. Asked if how he feels playing again alongside his former teammate France Catarogo, Hughes said he was excited to play alongside him once again. Meanwhile France said he joined Suva because he was studying at the University of the South Pacific. 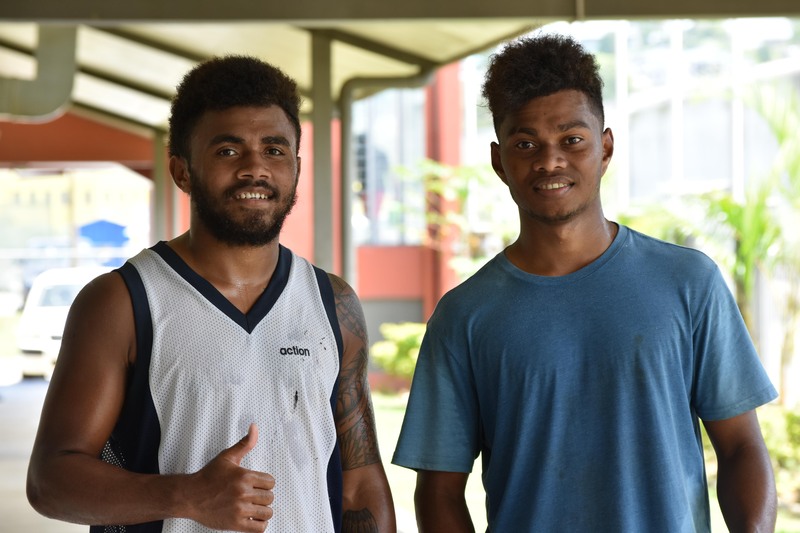 “I am studying here at USP and it is easy for me to maintain my fitness and that is why I decided to join Suva,”Catarogo said. Catarogo was excited to make his debut in the premier division in the Courts IDC. “First I have to work hard to make it to best 22 and I am confident of making it,”Catarogo said. Meanwhile Suva coach Sham Lal said the duo had gelled well with the team. ‘We started our preparation for Courts IDC yesterday and I have seen caliber in this two players but they need speed and strength as they have been out of football for few weeks. Lal hopes the duo will pick up their fitness in weeks’ time. Suva will start its campaign against Lautoka at 7.30 pm on Tuesday October 10 in the 2017 Courts IDC at Churchill Park in Lautoka.